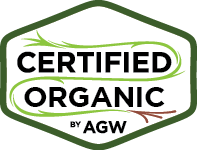 The Certified Grassfed by A Greener World (AGW) standards are an optional addition to the Certified Animal Welfare Approved by AGW (AWA) beef and dairy cattle, meat and dairy sheep, meat and dairy goat and bison standards. These standards do not stand alone and cannot be applied in isolation. 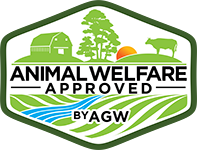 In order for animals to be approved as Certified Grassfed by AGW they must also be approved under the AWA species specific standards. 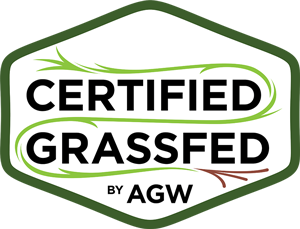 Proposed standards additions: Click here to review proposed additions to the Certified Grassfed by AGW 2019 standards. Let us know any questions or comments no later than April 15, 2019 by emailing the address provided. For information on animal management, health care, pasture management, housing and shelter, transport and other requirements please see AWA standards for beef, dairy cattle, sheep, dairy sheep, goats, dairy goats and bison. NOTE: If a farm receives a non-compliance for AWA standard 4.0.4, their Certified Grassfed by AGW status may be revoked. AWA standard 4.0.4 is as follows: Animals must be maintained at body condition score 4 or above on a 1-9 scale or body condition score 2 or above on a 1-5 scale. The farm is open about the fact that some animals have been fed non-forage feed – i.e. it is not something the auditor discovers at audit. 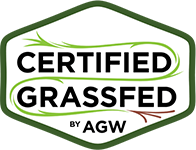 AGW is provided with details of the number of animals that are not compliant with the Certified Grassfed by AGW standards (this can be recorded at audit). G17.0.1 With the exception of milk consumed prior to weaning the diet of grassfed animals must solely be derived from grass and forage throughout their lives. Note: Forage is defined as any edible herbaceous plant material that can be grazed or harvested for feeding, with the exception of grain. Forage-based diets can be derived from grass (annual and perennial), forbs (e.g. legumes, Brassica), and browse. Dry harvested legumes (pea, bean, lupin). Grain residue or by-products including distillers grains. Note: A lack of a specific prohibition for any feed or supplement within these standards does not imply that their use is permitted. Farms in situations of drought or other emergencies may apply for a derogation to feed sprouted grains (sometimes known as “fodder”) but only to a maximum of 25% of daily dry matter intake. Derogation must be requested and accepted prior to using sprouted grains as a feed. G17.0.4 Supplementary hay, haylage, baleage, silage, crop residue (straw) without grain and other sources of natural roughage must never be used to replace good animal and pasture management. Note: The intent of the grassfed standards is that during the growing season both livestock stocking density and pasture management ensure that nutritional needs of the animals are met by grazing. G17.0.5 Grazing cereal crop residues after harvest for grain is prohibited. Note: Examples of prohibited ingredients under the AWA standards include animal by-products, fishmeal, sub-therapeutic antibiotics and organophosphates. G17.0.7 Supplements must not include urea. G17.0.8 Molasses may only be used as a carrier for mineral and/or vitamin supplements. Note: This standard prohibits other use of molasses; for example adding liquid molasses to hay to increase energy intakes. G17.0.9 If inadvertent exposure to non-forage feedstuff occurs, the incident must be recorded. G17.0.10 Records of any non-forage supplement must be maintained along with identification for the animals that consumed them. G17.0.11 Meat from animals fed non-forage feedstuffs may not be sold under the Certified Grassfed label. G17.2.1 Grassfed store or feeder stock must be sourced from other Certified Grassfed farms and have been managed to grassfed standards from birth. Note: Animals sourced from other AWA farms that do not hold grassfed approval cannot be sold under the Certified grassfed label even if the purchasing farm holds this approval. G17.2.2 Grassfed animals must be traceable throughout their entire lives from birth to slaughter. G17.2.3 Records must be maintained that identify all animals purchased, sold or slaughtered as part of the Certified grassfed program. G17.3 Additional standards for Grassfed Cow Dairy farms. Note: These additional standards are applicable to cow dairies only and are not required for sheep dairies and goat dairies. 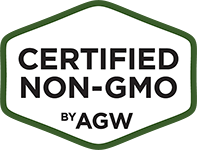 G17.3.1 Farms that wish to become certified grassfed for cow dairies must have had their animals certified by AWA for at least one audit cycle before being eligible to become Certified Grassfed by AGW. G17.3.2 Farms that wish to become certified grassfed for cow dairies must have been practicing 100% grassfed feeding for at least one year before being eligible to become Certified Grassfed by AGW. G17.3.3 Grassfed cow dairies must carry out forage testing for each cut of hay, haylage, silage or baleage whether this is home produced or bought-in. G17.3.4 Forage test results must be used to ensure the diet is balanced for the animals in the herd. Note: For example, forage test results can be used to target the best quality forages to the highest yielding cows and/or to mix forages to ensure cows have consistent quality in their feed throughout the winter. G17.4.1 Dairy calves must be fed at least 1 gallon (4 litres) of milk per calf per day for the first eight weeks of life. G17.4.2 Dairy calves must be fed at least 0.5 gallons (2 litres) of milk per calf per day from eight weeks to 12 weeks of age. G17.4.3 Recommended Dairy calves should be fed at least 0.25 gallons (1litre) of milk per calf per day from 12 weeks to 14 weeks of age. G17.4.4 Recommended Dairy calves should be reared by their mothers or foster mothers until they are at least six weeks old. G17.4.5 Recommended Dairy calves should be fed whole cows milk – not milk replacer – until they are at least six weeks old. G17.4.6 High quality forages must be provided when dairy calves are weaned from milk.